While personal bankruptcy still carries a certain stigma with many Americans, in certain situations, both Chapter 7 and Chapter 13 bankruptcy can be advantageous options for individuals who are looking to resolve debt problems or avoid losing assets. Still, many consumers make this choice without ever fully considering the ramifications of such a filing on their long-term fiscal well-being either with a bankruptcy advisor or on their own. FICO, one of the nation’s leading credit scoring agencies indicates that, depending on the filers original credit score, the size of the drop could vary. However, in previous releases, the company has suggested that for those with prime scores of over 780 on a 850-point scale, the drop could be as steep as 240 points. Such a large decline can lead to thousands of dollars in costs in the long run, extra charges that could derail consumers in Florida and across the nation from achieving life goals such as buying a house, pursuing secondary education or purchasing a new car. The road to recovery, while long, can be successfully navigated by individuals who pursue credit restoration services. At The Credit Repair Law Firm Chartered, we offer a number of financial services that those who have filed or who are looking to file for bankruptcy can use to begin fixing bad credit. Prior a bankruptcy filing, the Federal Trade Commission (FTC) recommends that all bankruptcy filers pursue bankruptcy help in the form of education on their decision. 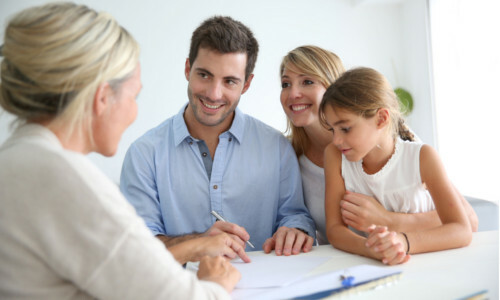 However, despite the benefits that this can have on the initial decision making process, many consumers don’t take the same approach following their filing to achieve the fast credit repair they need. At The Credit Repair Law Firm Chartered, we offer free webinars and seminars to those who are interested in learning how our low-cost packages can help bring them real long-term savings. While it may seem like the subject of a great tall tale, it isn’t uncommon for consumers to check their credit reports only to find that incorrect information has been logged by one of the three major bureaus. This action not only isn’t fair, it’s financially damaging, and without a successful dispute from a qualified Florida bankruptcy lawyer, individuals could be left paying higher interest rates on their borrowing until the issue is resolved. At The Credit Repair Law Firm Chartered, we’ve successfully removed unverified bankruptcies and incorrect information from the credit reports of our clients. While bankruptcy credit repair is just the first step on the road to a higher credit score, these actions, together with the advice of our team, can help individuals achieve their financial goals. While our credit repair services can be a beneficial part of a broader strategy you can use for a personal financial recovery, occasionally these services aren’t enough. That’s why we partner with The Hagen Law Firm, a respected area practice of consumer advocates who are well-versed in the more complex legal ramifications of bankruptcy cases. This broader commitment to our clients, as shown through our strategic partnerships, is also exemplified in our charitable giving. At The Credit Repair Law Firm Chartered, we look to give back by donating a portion of our administrative fees to charities like the Special Olympics, the American Red Cross and the Jump Start Coalition. Our law firm offers a state-wide practice that encompasses the representation of both debtor and creditors in bankruptcy proceedings; assignments for the benefit of creditors; workouts; and debt restructuring. Chapter 7 bankruptcy is sometimes called "liquidation" bankruptcy -- it discharges your debts, but you might have to let the bankruptcy court liquidate (sell) some of your property for the benefit of your creditors. The whole Chapter 7 bankruptcy process takes about four to six months and commonly requires only one trip to the courthouse. Chapter 7 can be a powerful remedy for debt problems, but it is not available to everyone. For example, you will not be able to use Chapter 7 if you already received a bankruptcy discharge in the last six to eight years (depending which type of bankruptcy you filed) or if, based on your income, expenses, and debt burden, you could feasibly complete a Chapter 13 repayment plan.